BY now, only the comatose and the willfully blind – coupled with those who have malignant intent – can’t/won’t admit that designs are afoot to destroy America as a sovereign nation state. That ship has sailed. IN fact, one needn’t be particularly astute to recognize that the country is being invaded in a highly orchestrated manner – despite the appearance of chaos, as an endless (emphasis placed) stream of flesh pushes across the southern border and into America’s interior! And with the blaring of additional bells in ensuing years, it was in Oct. 2016 that the dangers from assorted force multipliers were treated (at this site) as a “High Threat” level of alert. The fact that back-up was provided through a MEGA warning from a premiere counter-terrorism and counterintelligence operative, well….”Dave Gaubatz Issues Multiple Alarm Bell Warnings: Heed Them, America’s Survival On The Precipice.” Bulls-Eye! 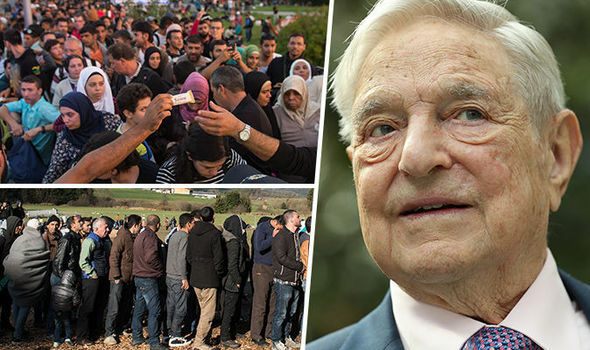 OF course, throughout it all, these pages exposed the UN’s fingerprints and its machinations through a massive array of NGO’s – underpinned by the most dangerous man in the west: George – the devil incarnate – Soros! Excerpted within the aforementioned link from 2016, pay heed to the following bullet points, after all, there is no sense in reworking the wheel. Fast forward to Oct. 2015, and who recalls L O R E T T A ‘s speech at the UN, you know, the one which included the Orwellian initiative to combat “violent extremism” – whatever the hell that means. Part and parcel thereof, another gobbleygook invention – the “Strong Cities Network”– is unveiled. Hmm. WTF are they hiding?? Well, said doublespeak is the backdrop for the Marxist/Islamist bent AG’s pronouncement: the US formed a “Global Police Force Partnership with the UN”! Yes, the UN is the defacto controller of America. Full stop. IN this regard, let’s calculate all the ways in which the onslaught at the southern border has gone from bad to worse to the current CRISIS point. In so doing, there is NO other conclusion to be drawn: it was pre-designed! ALAS, as always, even evidentiary trails are not enough for certain folks, most especially, when the PC thought police hurl insults that are perceived worse than the “kiss of death” to the weak-minded and weak-willed. Yes, by framing the narrative in terms of racism and all applicable “isms”, a veil of silence descends. And when they add in “conspiracy theorist”, well….. BUT never mind. At these pages such tarring is like water off a duck’s back – and then some. ONCE again, let’s wend back in time, albeit a mere two years. In 2017, the following whistleblower more than backed up the evidentiary trails within this site. So, listen up. PATRIOTS, it should be obvious by now that time is of the essence, relative to mitigating the grave damage(s) caused by various anti-American forces from within and without. Effectively, they sold out the national interest to the UN kleptocracy and its assorted, tentacled NGO’s – aiding and abetting a continuous stream of attacks on the southern border, at the same time that they fuel and fund the so-called refugees. A double-pronged destructive surge. RESULTANT, the following was messaged to readers in January 2019, and it was not for nothing: “Real-Time Jihadi Threats To The American Homeland: What Will It Take To Drag Socialist-Driven (Paid Off) Dems To Seal The Entry Points?” Incontestably. BACK to the ever-lurking red-green alliance…. 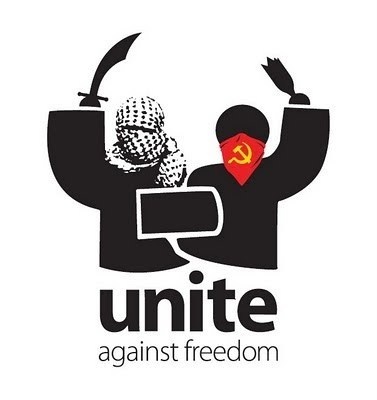 PIGGYBACKING with real-time threats from the green/Islamic side of the alliance, similarly, the red/socialist/Marxist/communist side is poising to strike. Through the massive flow of illegals via narco-terror and human traffickers, in tandem with tipping the voter rolls in the Demster column for decades to come, isn’t the outcome a foregone conclusion? Rhetorical. SANS a scintilla of a doubt, if millions of patriots don’t “tip the scales” (whatever it takes) back towards the nation’s roots, well, America will no longer exist – other than as a dead carcass, barely resembling the once great nation that it was! A CLEAR & PRESENT DANGER…..PATRIOTS, IT’S YOUR CALL! !